As forklifts must be manoeuvrable they are designed to be compact. But when carrying loads they can become unstable under certain circumstances. 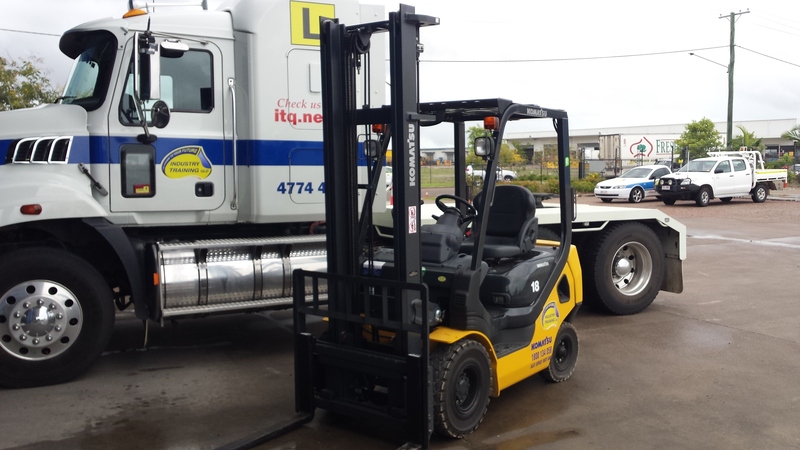 Fully laden, a standard two tonne forklift can weigh approximately five tonnes in total. With lower stability and greater manoeuvrability combined with uncontrolled traffic areas in workplaces you’ll understand why forklifts are involved in so many incidents. Even at low speeds, forklifts can cause serious injuries and fatalities. Don’t wait until there is an injury or death at your workplace before developing a safe system of work to control risks. > safe and well-maintained machinery > proper information, training and supervision. > reporting incidents, near misses and hazards (including unsafe equipment) to your PCBU or supervisor and health and safety representative > using protective equipment correctly. Training must be provided by a Registered Training Organisation and in the workplace under the competent supervision of a person with the same high risk work licence. Records of training (a logbook) must be maintained while you undertake your training. Registered Training Organisations provide logbooks to record training. Records should reflect the type of training undertaken to evidence both theory and practical training. The operator should be competent to operate a forklift in the particular environment in which they are required to work. Specific skills require additional training. For example, before an operator starts using a forklift or an attachment that is different to the one used for training and gaining qualifications further training and supervision is required.